What? There's a new layout on the pictures? Well, of course there are! nice, i like the ram, can't see anything wrong with the render. First off, nice job in ending every sentence with a emoticon. Anywho, I love how the skins for Rohan are looking. My only issue is the head of the battering ram. It seems too blurry to me... I know it's EA's but maybe you cold try making your own for the head? Awesome work man, I like it a lot!! Called something along the lines of "Battle march" or "Marching chant"
Basicaly what it does is give the targeted troops a fairly large speed boost, a bit like palantir in the vanilla game, but giving a larger boost and to all troop types. They're pretty cool... although I think that the Kingdom spells should be a little farther down. Maybe even on the second tier, on like a dead end, but keep their expense. I think that it's better if you can get "minifactions" (using WoA terminology) earlier in the game, just like in WoA where if you have enough dough you can just buy them. Maybe the Kingdom spells could just be purchased from the fortress. Hmmm....a new power for Rhun. give me a few days. Edited by Jeth Calark, 20 October 2008 - 03:37 AM. I have a power idea. Targeted units gains a boost for a limited time. And minifactions are RA's word..
here's some cheap ideas off the top of my head. (not really being creative here) how about a Rhun version of Elven Wood or Elven Gifts? Gondor and Rohan basically have it..
Rhun would just be able to chase all units down too easily early on then. And what if you use the powers on the same units? Would that be less OP? Well, you dont have to have a Woods. Tainted Land was the same as Elven Wood but it didn't have a forest. It did the opposite, it sickened any trees inside it! basically, some sort of terrain altering power that would grant a bonus to troops inside it is what I'm suggesting. 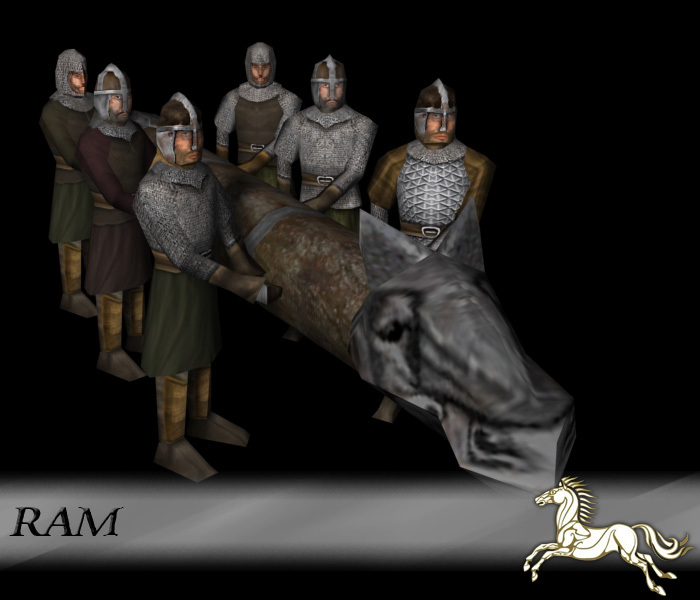 They looks great i never thought you were gonna be so creative with the battlingram usually mods just make it a plain old battlingram the rohanknights are asome I Fan of your 4th age mod i just know that this mods gonna make my favirote factoin rohan unique and cool.